Sophomore midfield/foward Tess Cairney goes for a tackle against Texas State in 2017. 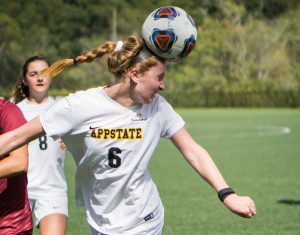 After last year’s injury-plagued season, the Appalachian State women’s soccer team looks forward to a fresh start with a healthy squad. 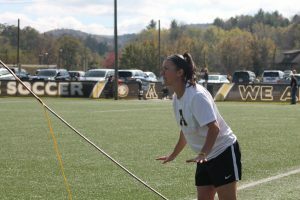 Redshirt junior defender/midfielder Jamie Palermo, now former forward Sharon Osterbind and several other key players all missed games after being hurt, which led to some holes in the lineup, but also provided the opportunity for other players to step up and have breakout seasons. 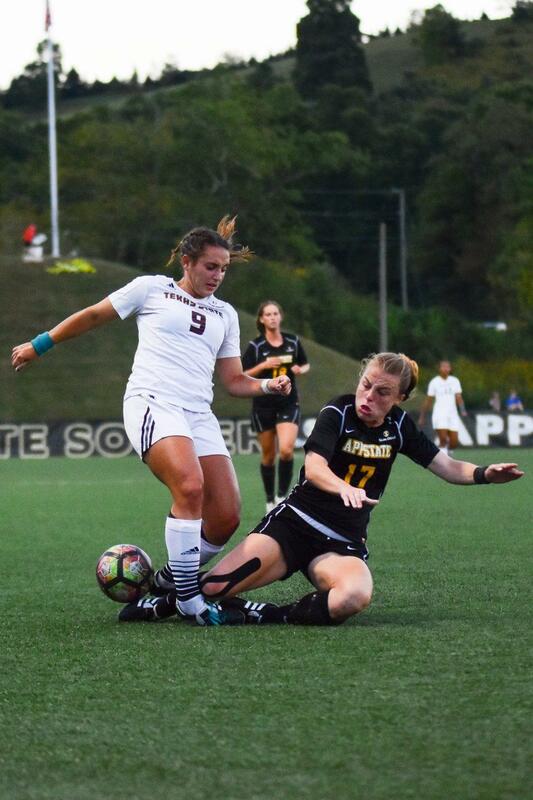 The Mountaineers (1-2) will enjoy the return of their leading scorer, senior forward Kat Greer, who found the back of the net five times and senior midfield/forward Emily Cowie, who led the team in assists. 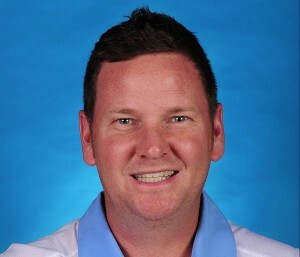 Starting goalkeeper, redshirt junior Taylor Ray will also be back on the field as well. 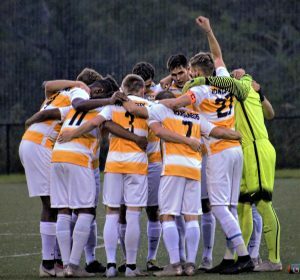 In total the squad has six returning starters and nineteen returning letterwinners. 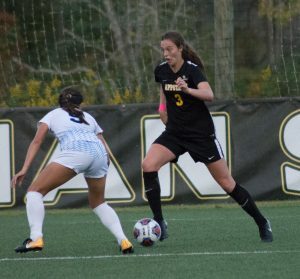 Junior midfielder Maggie Hanusek and senior defender Alexa Asher are also poised to have breakout seasons and redshirt junior foward Jessica Easily also brings back her levels of experience after finishing last season tied for second in minutes played. Combined with this experienced group of core players are several very talented newcomers. 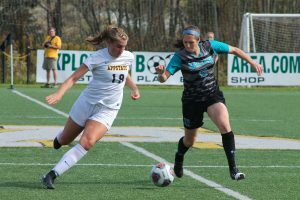 The seven-woman recruiting class consists of six freshmen who have experience competing at some of the highest levels of youth soccer and one transfer from Lees-McRae College. Sophomore midfielder Mary Perkins goes for the ball against Texas State in 2017. 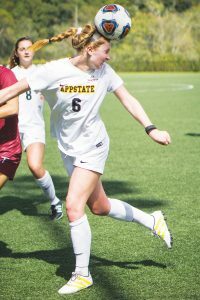 Freshman forward Jessica Peters was a goalscoring machine during her prep career and looks to transfer that success to the collegiate level. Senior defender Sarah Murphy is also joined by her younger sister, freshman midfielder Lauren Murphy. One of the Mountaineers’ biggest X-factors is their team chemistry as Strickland always leads a close-knit squad, who are very good at both playing together and making their newcomers feel welcome. 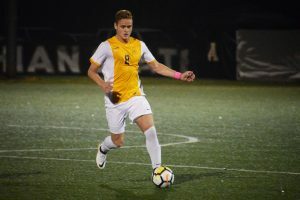 After two exhibition games where they fell 4-1 to East Tennessee State and tied 1-1 the Mountaineers kicked off the regular season in an impressive action. 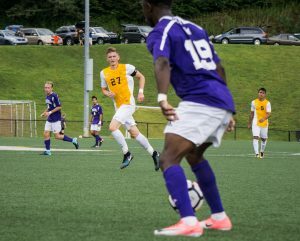 After opening with a loss the High Point, App bounced back defeating Campbell 3-0 in a very impressive performance. Palermo scored in this match and showed that she was back and ready for action after sitting out for the majority of last season due to a recurring knee injury. The team then followed up with a 3-1 loss to Big Ten Conference member Maryland in a very hotly contested matchup. In their opening three games they have scored four times, which is very impressive when compared to last year’s start where the Mountaineers didn’t reach this mark until the seventh game of the year. Even though these are all non-conference matchups, they are still very important as head coach Sarah Strickland always looks to schedule tough opponents early on to prepare the team for the difficulty and travel that the Sun Belt Conference brings on. 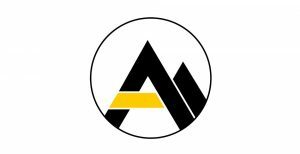 App continues their season with a home matchup against South Carolina State on August 31st.